The breakfast buffet is set up in the Bishop’s Rooms. 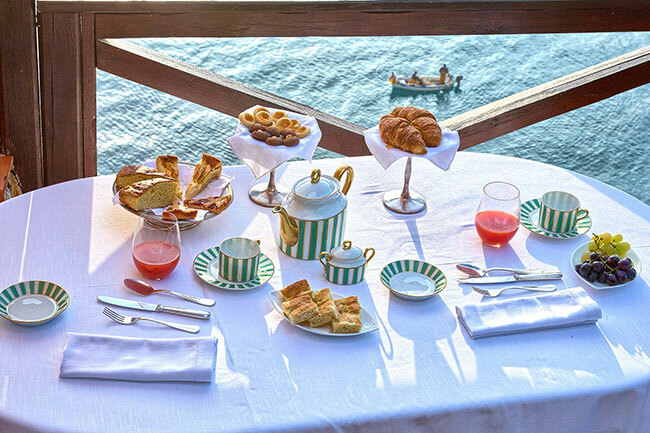 In spring and summer has served on the terraces to the sea. At the foot of the first panoramic elevator, parking Piazzale Rosselli has a good number of public parking spaces. The hotel guests receive a reserved parking. 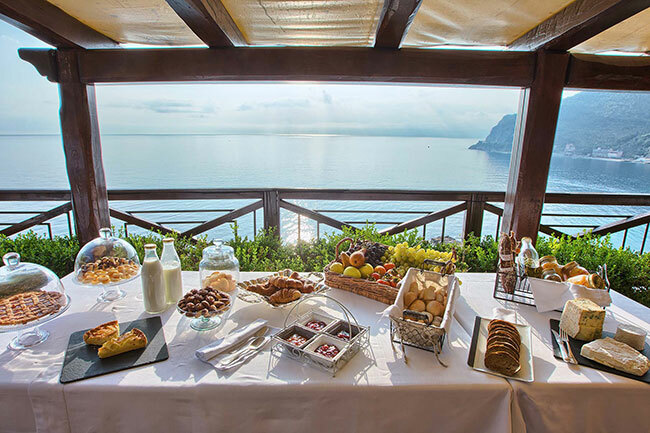 The hotel offers guests free access to the rooftop solarium overlooking the Bay of Noli. The space is equipped with sunbeds, umbrellas, chairs and tables. 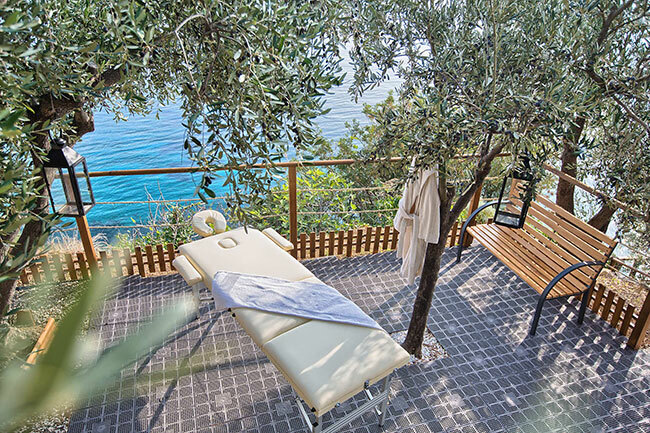 Small relaxation areas are set up in the olive grove, on the wings supported by dry stone walls, with views as far as the eye over the whole eastern Ligurian. Natural oases, cut in the Ligurian countryside, in order to restore peace and well-being of the body and the spirit. The gulf of Noli benefits of the service consortium purification of waste water. The sea is generally clean surface and also shows transparency. The site on which the structure stands dominates the entire inlet of Noli and looks out upon sea, towards the eastern ligurian coast, the mount of Portofino and the Apuane Alps, at the beginning of Tuscany. A view to be enjoyed with tranquility and calm. The hotel is surrounded by a centuries-old olive groves, gardens with pot-herbs and flowers, where we have created a small oasis of relaxation to rebalance soul and body and to discover the essential balance between your natural psychological and physical energy. At the time of confirmation the stay it will be possible to book massages to the face and body served in the room or, in summer, in the relaxing oasis in the olive grove. For your beauty and your wellbeing we use only high quality products of the DEA TERRA cosmetics originate from the wish to highlight Italy’s beauty, and to gratify the skin in a satisfying sensory experience.